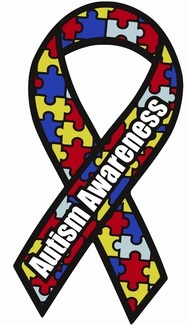 We are excited to celebrate Autism Awareness month at DLE. We need volunteers to help decorate and also to help with the Autism Awareness event on April 2nd during all outclass times. Decorating: All materials are in a box in the VIPS room, and everything is labeled with its location. Need to create bulletin boards in each grade level hallway, placed low on wall so kids can reach: blue paper background, puzzle piece border, 4-5 “True or False” question sheets with “Did you know?” title above. Posters with colored backgrounds need to be placed around bulletin boards. There is also a stack of posters that need to be placed throughout the school in main hallways, and a set of decorations for the front lobby and main hallway.